United entered the match looking to secure at least a point to cast off the remote spectre of relegation. There was just the one change in United's line-up Brian Welsh replacing the injured David Hannah. Motherwell were still chasing Rangers for the title, but it was the Tangerines who took the game by the scruff of the neck from the outset and pinned Tommy McLean's men back to take an early lead. Billy McKinlay robbed Shannon in the middle of his own half, took a couple of paces forward and fired in a shot which, though not tacking in pace, was straight at Dykstra, but the keeper only succeeded in palming the ball out to the on rushing Craig Brewster who dragged the ball wide before turning to slot the ball into an empty net. 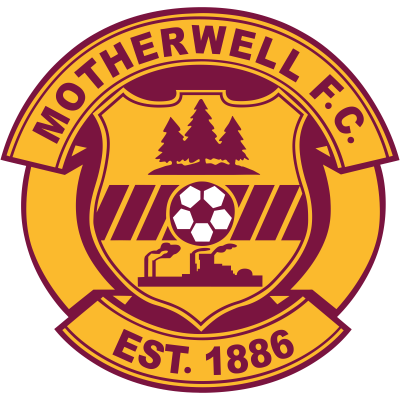 It was 13 minutes before Motherwell even had a remote sniff around United's goaI, but two minutes later the home side back on level terms thanks to a soft goal. Philliben floated a free kick on the left from just inside the United half. The ball was flicked onto Steve Kirk. His close range header came back off Guido van de Kamp and the Motherwell striker followed up to score. The biggest roar of the first half was reserved for the news that Hibs had taken the lead against Rangers at Easter Road after 34 minutes. 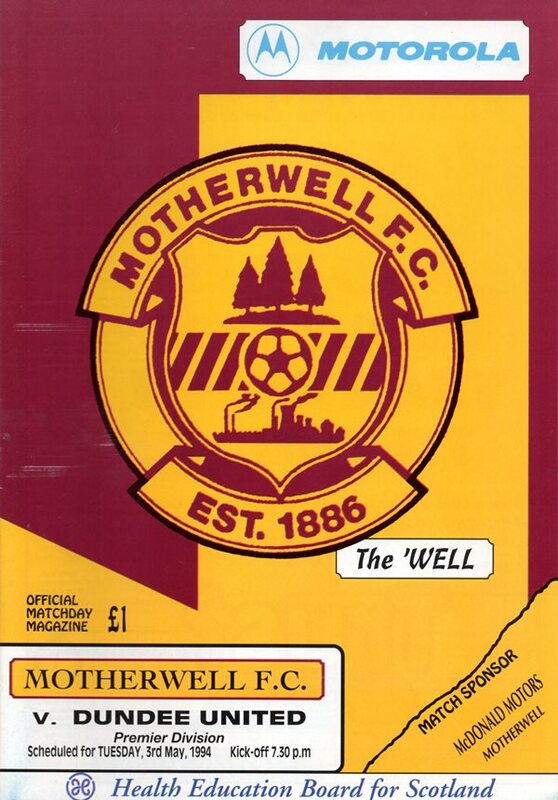 This failed to inspire Motherwell and United carved out the best chance before the break when Billy McKinlay broke quickly from his own half to send Jerren Nixon clear, but Dykstra foiled the United striker, flicking the ball away from his feet at the expense of a corner. United continued to make most of the running with Dykstra at full stretch to hold a Maurice Malpas shot which took a deflection off Davies. Andy McLaren replaced Jerren Nixon after 63 minutes and within 30 seconds of coming on the substitution reaped dividend's. Billy McKinlay floated in a free-kick and Philliben beat Craig Brewster to in an aerial dual. The ball was running back to Dykstra, but Andy McLaren's run into the box obviously distracted Dykstra, who half-heartedly punched the ball away, and it trundledover the line. Credit or rather blame for the goal lies in the Motherwell quarter, because at Tannadice it is going down as an own goal. With eight minutes to go Motherwell at last produced some fire up front. Guido van de Kamp turned Steve Kirk's free-kick round for a corner which was cleared to Brian Martin whose return header from the edge of the box skimmed the top of the bar and carried on over. 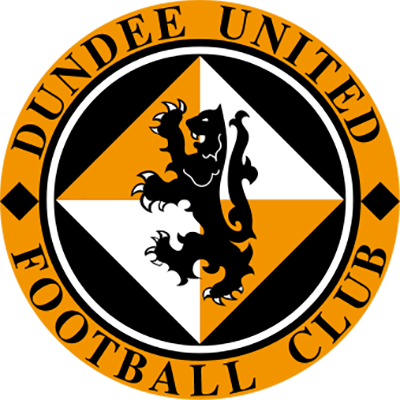 Then in the very last minute Tommy Coyne's overhead kick was tipped over by Guido van de Kamp, but United ran out deservedly as 2-1 winners to comprehensively rubber stamp their premier survival.